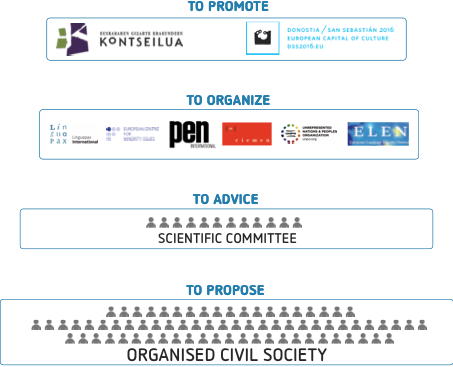 We would like to acknowledge the role of civil society in the preparation of the Protocol through organisations supporting Europe’s language communities. The desire for more democracy has led to greater demands and higher aspirations in civil society, thanks to which it has been possible to mobilise increased citizen awareness. On account of this, social actors have played a significant role in the drafting of the Protocol. We want to create an instrument accepted by entities and actors that are the mouthpieces of millions of European citizens. Despite our different backgrounds, the social actors who support the normalization of our languages all share a similar objective. The process will also prove useful as a way to learn from each other.